ATLANTA, Georgia -- The celebrity was John Ritter. 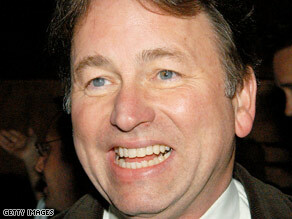 Actor John Ritter died in September 2003 from an aortic dissection, a commonly misdiagnosed condition. The actor died in 2003 of an aortic dissection -- a tearing of the major artery that comes out of the heart. His widow later settled a wrongful death lawsuit against a California hospital, alleging his condition had been misdiagnosed "at least twice." Experts who study malpractice cases and autopsy reports say certain diseases are misdiagnosed over and over again. It's worth knowing what they are so you won't be a victim. So how can you keep yourself from becoming a victim of misdiagnosis? Another source of misdiagnosis: Lab results get lost or forgotten. A study by Dr. Tejal Gandhi at Harvard Medical School found that up to 33 percent of physicians did not always notify patients about abnormal test results. "No news is not good news," says Dr. Saul Weingart, vice president for patient safety at Dana Farber Cancer Institute. "It might be that the report fell down behind someone's desk."